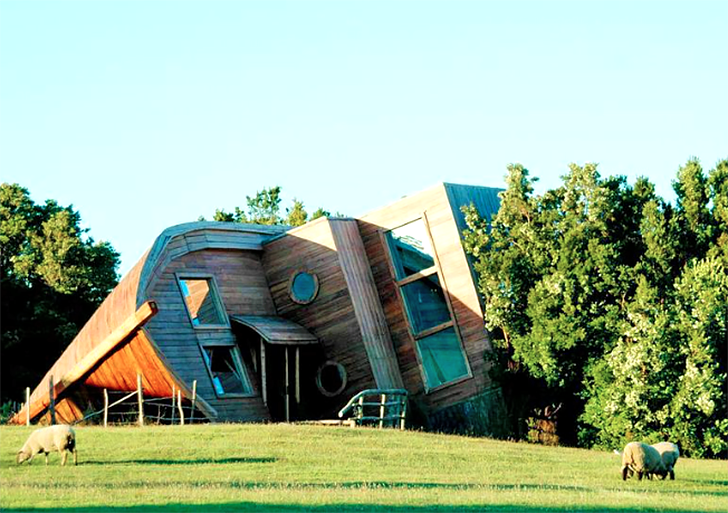 We've seen some funky buildings in our time, but this new resort in Chile takes the cake. Espejo De Luna is a comfy, charming eco-hotel located in Isla Chiloe, north of Patagonia. The main building, the restaurant, was carved into the interior shell of a grounded island boat, while the remaining four structures were built with locally-sourced materials and designed to have a low environmental impact. The complex comprises four wood cabins of different sizes and a restaurant built in the shape of a boat. Aiming to lower the carbon emissions, the architects used locally sourced wood, and the hotel uses local products where possible and avoids unnecessary transport. Various energy and water saving mechanisms add to the sustainability of the project. 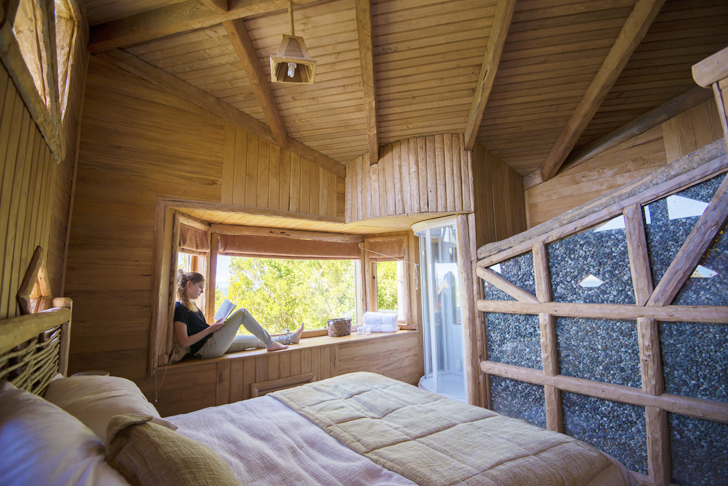 The cabins have private bathrooms, kitchen and living areas and offer stunning views of views of Corcovado Mountain and the Chaitén and Michimahuida Volcanoes. Visitors can rent bicycles, go horse trekking and check out the private beach and the surrounding landscape. Espejo De Luna received the sustainable tourism stamp of the National Service of Tourism of Chile in December, 2013. The management has bi-annual plans for protecting the environment and implementing a holistic approach to reduce the buildings’ carbon footprint. The complex comprises four wood cabins of different sizes and a restaurant built in the shape of a boat. Aiming to lower the carbon emissions, the architects decided to use locally sourced wood. The facilities use local products and avoid unnecessary transport. Various energy and water saving mechanisms add to the sustainability of the project. The cabins have private bathrooms, kitchen and living areas and offer stunning views of views of Corcovado Mountain and the Chaitén and Michimahuida Volcanoes. Visitors can rent bicycles, go horse trekking and check out the private beach and the surrounding landscape. Espejo De Luna received the sustainable tourism stamp of the National Service of Tourism of Chile in December 2013.